Hop a flight. Cross the sea. A winding island road. Here, the journey is about the destination. Feel the fine sands, taste the salt air, take in the splendor of the crystal clear, turquoise sea of Kalo Livadi. Lohan Beach House Mykonos only embellishes what is already naturally surreal. Don’t let the shallow water mislead you. Entertainment is deep and can be wild like the ocean. Over 200 umbrellas line the shore, providing escape from the heat while relaxing on one of our sunbeds. Spend your days salty. Enjoy water sports, beach volleyball, or enjoy a cocktail, dancing to the setting sun. The Lohan Beach House restaurant provides an exquisite menu for breakfast, lunch, dinner, snacks and refreshments throughout the day. A beachside service ensures your seaside moments go uninterrupted. Reserve one of our VIP areas for ultimate luxury and privacy. Melt away your everyday stress with a relaxing massage. 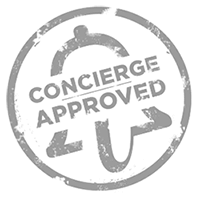 A valet parking and concierge service ensure your every need is taken care of.